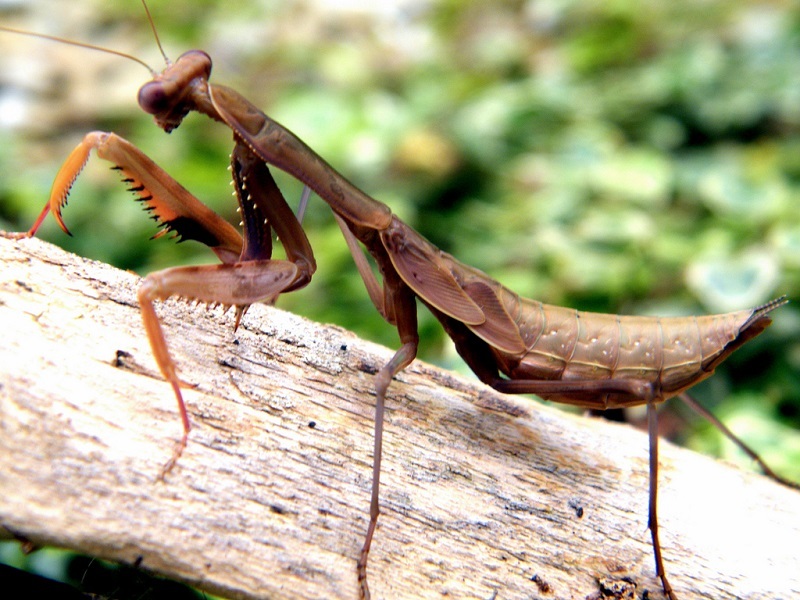 The Madagascan Marbled Mantis (Polyspilota Aeruginosa), is a species of praying mantis native to Africa. This species is quite large with the males being more slender than the females. Males measure approx. 80mm whereas the females are larger measuring more closely to 90mm. They have a brown marbled affect all over the body and wings, when adult. Black eye spots can be seen on the inside of their front arms also a tint of purple towards the top. When the light hits their eyes, they seem to be a pink/purple colour. They are found in Africa, Kenya, Madagascar and Nigeria too. Their habitat is usually in bushes, trees and sparse vegetated areas with sun- exposure. They can be highly aggressive. Their diet consists of Drosophila, Flies, Moths, Crickets and Grasshoppers. Click HERE for a Madagascan Marbled Mantis care sheet.